If your pet experienced a medical emergency tomorrow, do you have the financial means to treat them? As a veterinary cancer care provider, we often see uninsured pet owners struggling with this very question. It is not uncommon for pet owners with the desire to treat their pet’s cancer forced to make medical decisions based not on what is best for their pet – but on what they can or can’t afford. In the most tragic of situations, euthanasia may be the only financially viable option. This can be a truly heartbreaking decision for any family. Cancer is the number one cause of death in older dogs and cats. The sad reality is that there is a 50/50 chance that your beloved dog or cat may develop cancer. In many cases, however, cancer does not have to be a death sentence. Cancer care for pets is evolving with new medical advancements presented every year. New treatments such as stereotactic radiosurgery (SRS) are opening doors to treat cancers that were previously untreatable. Therefore, just like in human medicine, there is a need to prepare financially for your pet’s veterinary care. 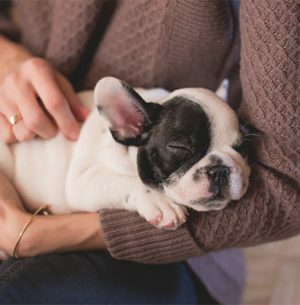 With pet insurance on your side, you will be able to focus your decision on what’s best for your pet without carrying the burden of finances on your shoulders. Pet insurance can provide the freedom of not having to choose between your pet and your wallet. Is pet insurance worth it? If your pets are cherished members of the family, you want to be able to provide the best care for them, and you don’t have the financial means to cover treatment – then yes, pet insurance is absolutely worth it. How much does cancer care for pets cost? Similar to human health care, the veterinary profession has doctors that have chosen to undergo additional education and training to be board-certified specialists in a specific field of medicine. Veterinary oncologists, who are specialists in diagnosing, staging, and treating cancer in pets, provide veterinary cancer care. Veterinary radiation oncologists specialize in the use of radiation therapy to treat cancerous tumors. Specialty care such as that provided by PetCure Oncology requires board-certified specialists and advanced equipment to perform the latest procedures. And as medicine continues to advance, pets are receiving better care and living longer. However, with higher level of care come higher costs—making it all the more important for pet owners to carry insurance for their pets. The costs of treating pet cancer vary depending on each individual patient’s treatment plan. Some patients may only need SRS to treat a cancerous tumor. Other patients might need a combination of treatment options like surgery and ongoing chemotherapy. As such, costs vary widely but can easily add up to $10,000 or more. Check out Embrace Pet Insurance’s Cancer Coverage to see examples of real-life cancer claims. Does pet insurance cover cancer care? As long as your pet is covered by pet insurance before a cancer diagnosis is made, most pet insurance will cover cancer care. If your pet has already been diagnosed, the cancer is considered a pre-existing condition. No pet insurance covers pre-existing conditions. Therefore, the earlier you can insure your pets – before they develop an illness or condition – the better. Most major pet insurance providers offer a variety of coverage plans. Cancer is often included in a specific plan or can be added as a rider. Most carriers cover even the most advanced treatments, subject to their individual exclusions for things like pre-existing conditions. Contact the insurance provider to ask which plans include cancer care. Make sure to check whether they cover diagnostics and testing and get a list of which cancer treatment options are covered. Which pet insurance is right for my pet? Do you want your pet insurance to include wellness care? Do you want coverage for integrative medicine like acupuncture or rehabilitation? Does the provider offer a multiple pet discount? Does the pet insurance company cover older pets? Does the plan cover diagnostic testing needed to diagnose cancer? Does your pet have a hereditary or congenital condition that must be covered? Is your pet prone to a specific condition or illness? Finding the right pet insurance plan for your pet is not as difficult as it may seem, but it does require some comparison shopping. Most insurance providers are available to speak on the phone to guide you to a coverage plan that is right for your pet. As a starting point, contact your primary care veterinarian to get more information about your pet’s health, breed (for genetic conditions) and current conditions. Your veterinarian may be able to give you more information about your pet that can help you ask the insurance providers the right questions. For more information, check out the article, “Find the Best Pet Insurance” by NerdWallet to see a comparison of the major pet health insurance companies. My pet has cancer, but I don’t have pet insurance. What can I do? Here are some resources you can look into. We would first recommend applying for financing. PetCure Oncology locations offer low- or no-cost financing for qualified applicants through CareCredit. CareCredit is widely accepted by many veterinary hospitals. Financing is also available through Wells Fargo Health and Citi Health Card. Use crowdfunding to ask friends and family for their support. Crowdfunding sites like GoFundMe are a great way to share your story, provide updates, and collect financial support. Ask your veterinarian whether you can include his or her information so people can verify that your situation is real. Plan a fundraising event. A fun way is to plan a party at your home or a nearby park. Invite friends and family and have multiple ways people can donate. Love baking? Bake small desserts people can purchase. Are you a talented Martha Stewart type? Create some crafts that people can purchase. Set up a kissing booth where people can line up to receive some love from your pet. Check out our Pet Fundraising Ideas Pinterest Board for fun and creative ways to fundraise. There are organizations and programs that provide financial aid to pet owners struggling to pay their veterinarian bills. Some organizations focus on specific breeds or pet conditions. Ask your veterinarian or your state veterinary medical association whether it can point you to an organization that might be able to help. If your pet has been diagnosed with cancer, please do not hesitate to contact any of our PetCure Oncology locations or contact us directly at Hope@PetCureOncology.com. We are happy to answer your questions and assist you through this difficult time. Please note that any company or organization mentioned in this article is provided as a resource. PetCure Oncology does not endorse and cannot guarantee that these organizations will be able to provide assistance. Please contact the organizations directly for details.